Richard Irwin (Belper, United Kingdom) on 30 December 2007 in Plant & Nature. 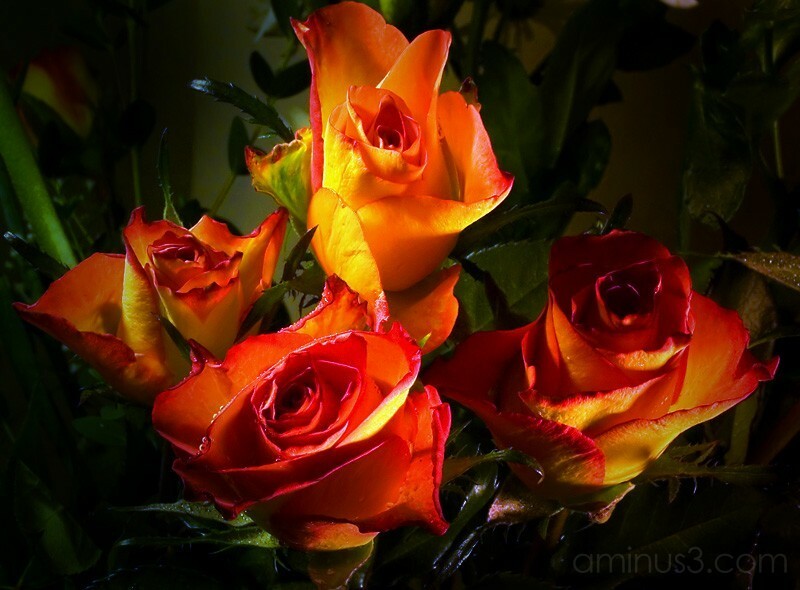 Wow, gorgeous roses! Excellent perspective as you have captured nicely the details of the rose petals. Very impressive flower shot! they have a lovely glow! Go ahead why don't you? Take my breath away again! Superb!!! These are beautiful! Your house must be something else! Beautiful! All the best for this new year! Great macro and beautiful roses! Oh! Roses....anytime!!! !the colours are irresisitible! Hope you had a blooming first day in the New Year!